Have you started feeling pain in your knees? Are you developing arthritis that causes pain in your joints and makes it hard to easily move due to the pain? At Fraum Chiropractic Life Center, we recognize that knee pain treatment must focus on your situation and we provide the care you need to address the causes of your pain. When you want to address knee pain, you must start with understanding the causes of the discomfort. You also want to identify the severity of the damage or injury to your knee. When a chiropractor in our clinic has an idea of the severity of your pain and the cause of the discomfort, we can determine an appropriate treatment plan to address the situation. The specific causes of your pain allow a professional to identify the right knee pain treatment for your situation. Since the treatment depends on the specific injury and the area impacted by an injury, you want to identify the underlying factors to avoid inappropriate and ineffective treatments. When we provide arthritis treatment in Hilton Head Island SC, we focus on accomplishing specific goals. We want to reduce and eliminate the pain in your knee by eliminating the inflammation that causes painful reactions. By reducing inflammation, you alleviate the pain and encourage swelling to go down. Chiropractic treatments help address inflammation by improving the function of your body and preventing inappropriate responses from your body. While inflammation is a natural response to injuries, it can persist and sometimes occurs when you do not have an injury. Beyond pain relief, our treatments focus on encouraging healing. Since an injury may result in soft tissue damage, you want the body to start repairing the injury. Our treatments strive to encourage your body’s natural healing processes. The treatments we offer for knee pain and arthritis in your knee strive to improve your range of motion. We want to encourage your knee to heal enough to prevent complications in your life. By improving your range of motion, you have more flexibility to engage in your favorite activities. It allows you to keep up with your personal goals without facing unpleasant effects from natural movements. Chiropractic care in our clinic helps with knee pain by using an array of treatments and strategies for your body’s specific needs. We may use chiropractic adjustments to improve the alignment of your bones, joints and tissues for better function and proper healing. When your body is not in proper alignment, it may cause inappropriate responses and inflammation. Our adjustments improve the function of your nervous system and allow your body to function at optimal levels. We may use infrared laser treatments or other alternative solutions to address specific symptoms. We also recognize that you may have compression, or pressure, on your nerves that contribute to the pain in your joints. Our decompression therapy helps reduce excess pressure on the nerves. Each individual has different needs and goals when seeking treatment for knee pain, so we develop a personalized treatment plan to address your specific concerns. Call Us Today To Relieve Your Knee Pain! 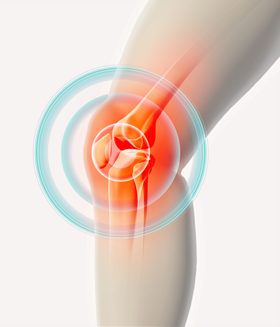 Knee pain is a complex problem that stems from a variety of factors and situations. When you develop the pain, you may want natural treatments to start healing the injuries and improving your range of motion. To learn more about our treatment process or for an appointment with a chiropractor, reach out to our office.